Old and New Heroes Of The Keyblade. . Wallpaper and background images in the Kingdom Hearts club tagged: sora riku kairi aqua terra ven ventus birth by sleep. 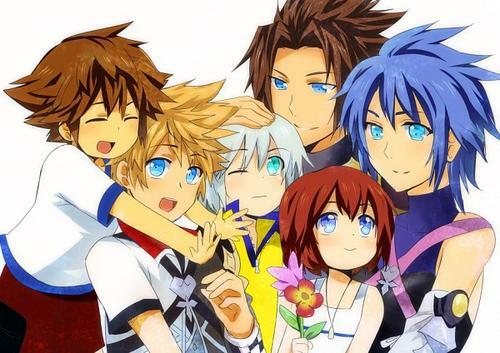 This Kingdom Hearts fan art contains anime, fumetti, manga, and cartoni animati.